EFT Sports Performance is the private training facility for Chicago’s top high school, collegiate, and professional athletes. Since 1995, I have provided sports performance training to 3 NBA First Round Drafts Picks, 4 MLB First Round Draft Picks, athletes representing over 20 NFL Affiliations, and student-athletes representing over 50 Universities and Colleges. 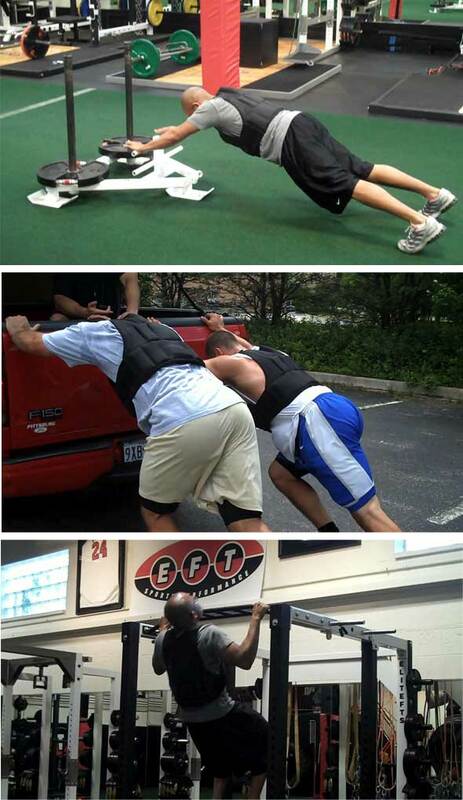 As EFT’s Owner and Director of Performance, Ironwear Weighted Vests have assisted in propelling my athletes past the competition and to the next level. In the past I have tried other weighted vests, but there fit, comfort, and safety does not even compare to the quality that Ironwear Vests provide. We primarily use the vests as a means of increasing intensity for bodyweight exercises, conditioning drills, and sport-specific movements. Best of all, my staff and I are always thinking of unconventional ways to use Ironwear Vests. Thank you Ironwear Fitness for making the perfect weighted vest. I truly look forward to adapting more Ironwear Fitness products within my training programs!